Huawei is targeting a "new cosmopolitan" audience as it backs away from celebrities in its advertising and significantly increases the size of its European marketing operations. Speaking at Mobile World Congress, Huawei chief marketing officer for Western Europe Andrew Garrihy described the Chinese mobile firm’s new global TV campaign and a partnership with Saatchi Gallery as a means of appealing to an "artistically minded" audience. The TV campaign is promoting the brand’s new P10 smartphone, which was unveiled at a press conference at MWC yesterday afternoon, and features world’s first front facing Leica camera. Garrihy said: "It is not your traditional smartphone ad by any measure because that is not what this product stands for. This is all about our product for the new cosmopolitans and a product that enables a whole new level of self-expression. "It has a very young, fresh feel, it is quite sophisticated and fashionable." Huawei is specifically targeting the "new cosmopolitan" because they are an influential and aspirational market and a "strong fit" for the positioning of the P series smartphone. The campaign marks a departure from previous television advertising, which was celebrity-led and featured Scarlett Johansson and Henry Cavill. Garrihy explained: "We did not use celebrities this year, but people who represented the target market. Our focus as a brand is to work more and more with young, emerging fresh talent, that just have a fresh perspective because that is what we are as a brand." As part of the focus on young talent Huawei and WPP Team Huawei worked with director Paul Gore on the campaign. 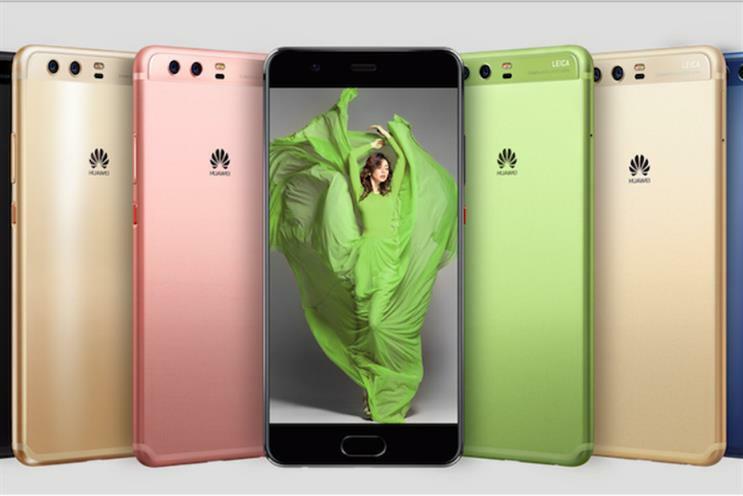 The marketing push comes as Huawei significantly expands its European marketing operation. Since Garrihy joined the company seven months ago the marketing department has increased in size from four to 27 people. In the next three to four months Garrihy says it will continue to grow significantly to about 40 people. Huawei has recorded 30% growth year-on-year in global smartphone sales and shifted 139 million units in total last year, which included 12.5 million P9 units. "Europe is a really important market for us," says Garrihy. "In Europe we are doing incredibly well in Italy and we have 20% market share in the premium tier in Italy." In Italy and Spain there is an 80% brand awareness of Huawei, but awareness levels are lower in other European markets. The TV spots will run concurrently with a PR-led campaign highlighting Huawei’s partnership with the Saatchi Gallery. Saatchi Gallery and Leica Camera have commissioned artists including Chris Levine and Manfred Baumann to use the Huawei P10 to demonstrate the power of the smartphone’s dual lens camera. A pop-up exhibition in Barcelona, running until 2 March, will be followed by a Selfie to Self-Expressions exhibition that Saatchi Gallery will launch on 30 March. Saatchi Gallery chief executive Nigel Hurst said: "It will be the world’s first exhibition that charts the history of the selfie from the 16th century old Masters to the present day. "Because of the advancement in smartphone technology we are at a tipping point where people can have a studio quality piece of photography in their pockets. If you look at when Rembrandt first doing his series of self-portraits he was probably one of the few people on the planet to have the tools and the skill to do that."